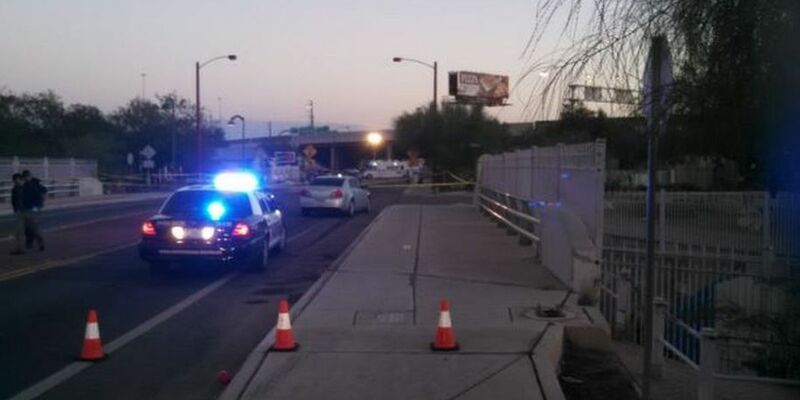 TUCSON, AZ (Tucson News Now) - South Tucson Police say a man has died in an officer-involved shooting Friday morning at South 10th Avenue and West 38th Street. The officer was not injured, despite his vehicle being hit by several rounds. Police received a call reporting shots fired in the area near Interstate 10 around 1:30 a.m. When the responding officer arrived, investigators say he saw a possible suspect walking on the street and turned his vehicle around. Detectives say when the officer turned his car around, the suspect fired several rounds at the officer with a sawed-off rifle. According to police officials, the officer returned fire hitting and killing the suspect. There were several bullet holes in the officer's vehicle. Police have not released the name of the suspect or the officer involved in the shooting. The officer has been with South Tucson Police for over a year and has been in law enforcement for eight years. The Pima County Sheriff's Department is investigating the incident. 10th Avenue is now open as officers clear the scene. Copyright 2014. Tucson News Now. All rights reserved.